OSP Group, the Gillingham-based construction site personnel recruitment company, has signed a renewable 12 month corporate partnership with Gillingham Football Club, the only Kent-based club in the professional Football League. The club stayed up in League One last season and has high hopes of progressing well this season. OSP Group becomes one of five official club partners, which includes the Kent Messenger. OSP Group is based in Gillingham and provides construction companies in London and the southeast with over 400 skilled site workers. The company has been growing due to the need for new buildings and infrastructure and has sales of around £8m. 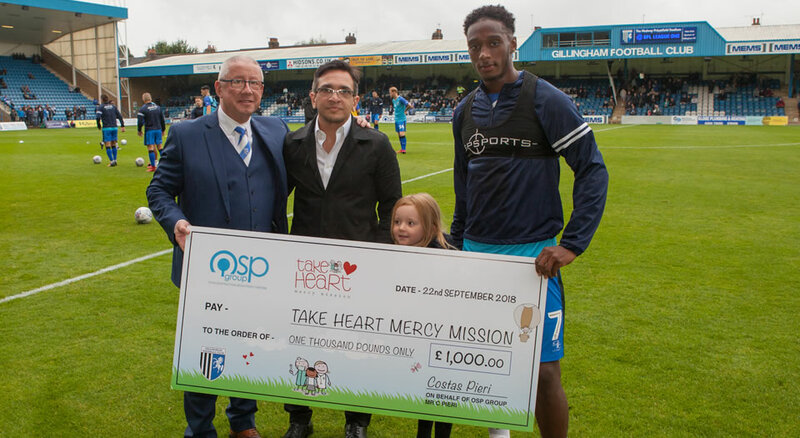 OSP Group has also made a £1,000 donation to the club’s official charity ‘Take Heart’ which provides an expert team of cardiac surgical, anaesthetic and intensive care personnel to perform operations on children with congenital cardiac conditions in Sri Lanka. > What can be learnt from sports?